Former FBI Director James Comey drafted a statement to exonerate former Secretary of State Hillary Clinton in the investigation into her use of a private email server before key portions of the probe were complete. Senate Judiciary Committee chairman Chuck Grassley (R., Iowa) and Judiciary subcommittee chairman Lindsey Graham (R., S.C.) sent a letter to current FBI Director Chris Wray on Thursday regarding Comey's actions, Fox News reported. "Conclusion first, fact-gathering second—that's no way to run an investigation," the letter said. "The FBI should be held to a higher standard than that, especially in a matter of such great public interest and controversy." The Senate Judiciary Committee learned, through transcripts of interviews with top Comey aides, that the former director began drafting an exoneration letter before interviewing Clinton and other key witnesses. "According to the unredacted portions of the transcripts, it appears that in April or early May of 2016, Mr. Comey had already decided he would issue a statement exonerating Secretary Clinton," the letter said. "That was long before FBI agents finished their work. Mr. Comey even circulated an early draft statement to select members of senior FBI leadership. The outcome of an investigation should not be prejudged while FBI agents are still hard at work trying to gather the facts." 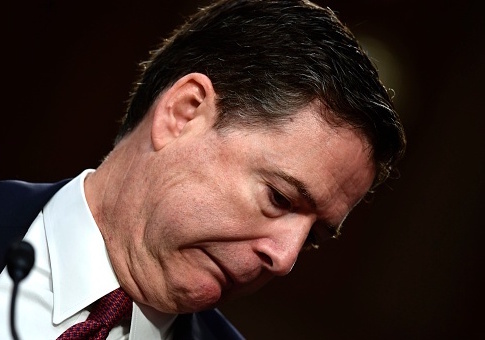 Comey ultimately called Clinton's actions regarding her private email "extremely careless," but announced in July 2016 that he would not recommend criminal charges against the former secretary of state. The Senate Judiciary Committee does not know at this time if the specific FBI agents on the Clinton case were aware of Comey's premature exoneration statement for Clinton. The senators have requested all related records from the FBI. Comey was ultimately fired by President Donald Trump in May 2017. Trump cited Comey's so-called mishandling of the Clinton investigation as reason for his dismissal. The president, however, was criticized for the timing of Comey's firing. Critics questioned why the president had not fired Comey immediately upon taking office in January. Trump's comments in a letter to Comey further led to speculation that the FBI director was dismissed because the president disagreed with his handling of the Russia probe, the New York Times reported. This entry was posted in Politics and tagged FBI, Hillary Clinton, James Comey. Bookmark the permalink.